Mumbai is known for historic sites, scenic drive, shopping, nature, and theme parks. Your plan includes some of its best attractions: don't miss a visit to Gateway of India, contemplate in the serene atmosphere at Shree Siddhivinayak, savor the flavors at Food & Drink, and admire the landmark architecture of Chhatrapati Shivaji Terminus. For ratings, other places to visit, and tourist information, go to the Mumbai trip planner . Houston, USA to Mumbai is an approximately 25-hour flight. You can also do a combination of bus and flight; or do a combination of car and flight. You'll lose 11 hours traveling from Houston to Mumbai due to the time zone difference. When traveling from Houston in January, plan for much hotter days in Mumbai, with highs around 88°F, while nights are a bit warmer with lows around 62°F. Wrap up your sightseeing on the 9th (Thu) to allow time to travel to Singapore. On the 10th (Fri), see the interesting displays at Buddha Tooth Relic Temple and Museum, pause for some photo ops at Merlion Park, and then learn about wildlife with up-close encounters at Singapore Zoo. On your second day here, wander the streets of Chinatown, then enjoy breathtaking views from Singapore Flyer, and then admire the natural beauty at Singapore Botanic Gardens. 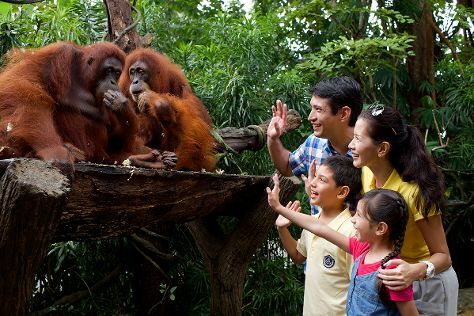 Discover how to plan a Singapore trip in just a few steps with Inspirock's itinerary builder. You can fly from Mumbai to Singapore in 9 hours. Alternatively, you can do a combination of flight and bus; or drive. The time zone difference moving from India Standard Time (IST) to Singapore Time (SGT) is 2 hours. Traveling from Mumbai in January, you can expect nighttime temperatures to be somewhat warmer in Singapore, with lows of 77°F. Wrap up your sightseeing by early afternoon on the 12th (Sun) to allow time for travel back home.